The sun is appearing more often and longer each day … so hopefully all your winter mechanical projects are nearing completion! It's time to get out and enjoy our state's public lands! While you're making your final preparations we wanted to share with you an update on WOHVA's activities over the past several months. 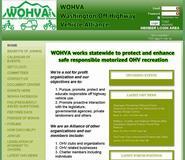 Revised WOHVA Website Enables Associate Members … For Free! The 2014 Legislative general session is over. I have been spending countless hours reviewing new legislation and offering improvements to help shape them. The good news is that no anti-OHV legislation was passed this session. The bad news, unfortunately with one possible exception, is that no pro-OHV legislation was passed either. The one pro-OHV exception passed in this session is House Bill 2151 (HB2151). This has been referred to as the Washington Trails Act and started out as a bill that directed the DNR to be more reasonable in how it builds and manage trails. The original language featured things like mandating that trails be built using the least expensive and intrusive methods possible, user built trails be included in trail management plans and trail users be included in all planning processes. While much of the final language remained similar, the details morphed significantly as the bill moved forward. Causes the least impact on the land. Provides environmental and water quality protection. 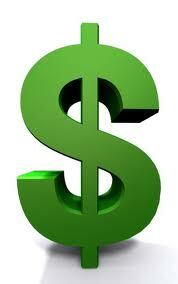 Maintains the lowest construction and maintenance costs reasonable. Trails must be Department of Ecology compliant. It says that the DNR should include existing user build trails if they comply with the trail building standards that the DNR choices to apply. It recommends that the DNR should follow USFS guidelines, but specifically also allows the DNR to make up their own when they want to. Trail use policy and guidelines must be developed, but does not say how they will be funded. It directs the DNR to incorporate public input if it deems it appropriate. It declares volunteers to not be considered DNR employees for liability purposes. And it directs the DNR to work with local governments to find efficiencies in the permitting process. We're not sure if this is written strong enough to force the DNR to do anything different from business as usual. It looks like every mandate has a loophole built into it. And finally, the development cost of policy and guidelines could impact the availability of ORV gas tax and registration funds for other on the ground purposes. We don't want to see another "million dollar mile trail" like those at Reiter. So we commend the intent of this bill, we'll work to improve the regulations written from it … and will wait to see how this all plays out "on the ground". In addition to trail building, there were bills on litter fines, volunteer hours for Discover Passes, and road access for ATVs (a focus for us lately). While none of these bills were passed during the 2014 legislative session, you need to understand what might have been and realize that they will resurface next session. HB2294 would have raised the fine for litter of less than one cubic foot in volume from $50 to $125. The House passed this bill, but the Senate refused to bring it up for final passage. SB5097 would have allowed spouses to pool their volunteer hours for the purpose of earning a free Discover Pass. The Senate easily passed it and nobody officially testified against it during any of the hearings. The DNR did not support this bill and was rumored to have worked behind the scenes in opposition and it stalled out in the House Rules Committee. HB2675 originally added nonhighway roads to where WATV (aka HB1632 which passed in 2013) modified for road use could go in addition to other changes, but that provision was removed. The remaining language provided new clarity to the WATV titling process, added reciprocity language for WATV use across state lines, and added motor vehicle repair shops to the places where WATV inspection can be done. This bill was passed by the House, but did not proceed past Senate committee level action. Because this bill did not get passed, a key component of the original intent of HB1632 passed during the 2013 legislative sessions remains unfulfilled. Without nonhighway roads included in the law allowing WATV road use, roads managed by the Washington State Department of Natural Resources and the United States Forest Service remained closed with the exception of where those agencies have chosen to specifically designate them as open. Since the Washington State Patrol opposes changing this, the fate of future legislative efforts it is unclear. The Mt. Baker-Snoqualmie National Forest has embarked upon a "Road Sustainability Study". The USFS states they only have enough money to continue maintenance on 25 percent of their existing roads. Although the study mentions only roads, if you look at their web page concerning this study the Q&A states they are including trails in this process. More information is available on their webpage: http://www.fs.usda.gov/detail/mbs/home/?cid=STELPRDB5423889. Check with the USFS unit(s) that you ride in to be informed when they start this process. We must be involved; the environmentalists certainly will be involved! If you recreate in the Blue Mountains area, this will impact you! The Malheur, Umatilla, and Wallowa-Whitman National Forests (collectively referred to as the Blue Mountains National Forests) have combined efforts and established the Blue Mountains Forest Plan Revision team to revise their land and resource management plans (also referred to as forest plans or plans). The current plans are being revised to address substantial resource and social changes on the three national forests and to include new scientific information. While Forest Plans do not make decisions on site-specific Travel Management Planning (TMP), they do impact the overall areas within the forest where travel may be allowed so if you recreate in any of these three national forest, you should be involved to ensure continued access to your favorite area(s). More information is available at the following website: http://www.fs.usda.gov/detail/umatilla/home/?cid=STELPRDB5247447. A major purchase was recently completed on the eastern side of the Cascades just north of Cle Elum to add 50,000 acres to Washington state's public lands. The Teanaway Forest will be managed jointly by the DNR and Fish and Wildlife Departments and the planning for all this is currently under way. The planning group membership has just been selected and we're very fortunate that Steve Justham, a new WOHVA Board Member, will represent his community and the OHV community on this planning group. If you're interested in contacting Steve to contribute to this process, please email him through info@wohva.org. This is a new venture for the state and jointly for DNR/WDFW so they'll be establishing precedents that may be used in other areas. While Reiter Foothills near Gold Bar is finally open for OHV use after being closed for nearly 2-1/2 years, the trail mileage is still terribly small. There are only 4 miles of single track, a 1/2 mile 4x4 challenge course, and the several miles of ATV trail finished. The DNR is looking for feedback on their initial work here and have a survey available seeking your input here: http://bit.ly/ReiterSurvey. If you have a different vision for Reiter, here's your chance to step up! They're also soliciting volunteers for trail construction, general input on the area as well as gate duties and are providing Discover Passes for hours served. They're currently only able to open the area on weekends from 9 AM to 5 PM. One of the major OHV areas on the "wetside" of the Cascades is the 38,000 acre Tahuya State Forest near Belfair. A planning process for this DNR land was recently completed with recommendations regarding both the southern Tahuya area as well as the northern Green Mountain areas. This new plan calls for the creation of new trails and trailheads as well as expands the 4x4 area there. WOHVA thanks Steve Decoy for his contributions as a volunteer and representative in this process. The delicate balance between the many competing user groups was a major challenge in the planning. Non-motorized users will benefit from this plan with new trails and trailheads. Motorized users currently enjoy nearly 100 miles of single track and 4 wheel drive trails in both the Tahuya and Green Mountain forest areas. Yeah, yeah, we know … everyone with a website is always updating it and changing the layout … many times with questionable results. WOHVA too is in the update process, but we're changing over to a whole new web provider because we need to represent YOU better! WOHVA is changing our website to allow club and business members to enroll their club members and employees FOR FREE as Associate members of WOHVA. WOHVA membership previously only included businesses, clubs, and individuals. Legislators and land managers constantly ask WOHVA: "WHO DO WE REPRESENT?" We estimate that over 13,000 members are represented in the many clubs and businesses paying to belong. That's a big distinction because paying to belong is much stronger than just saying, "WOHVA represents them". Said differently, we believe we represent not just the club or business, but all the members of that club or business as well. That's important because WOHVA wasn't intended to compete for memberships with our members. That's why we're called an Alliance, and not a club. Soon WOHVA will have a new website that will enable clubs, businesses, and organizations who belong to WOHVA, to also enroll their members in WOHVA as well. At a basic level, if clubs add only their member's names without contact information, WOHVA will at least know the size and scope of our full membership … and be able to represent it accurately when asked. At a more specific level, if clubs and businesses wish to add contact information for their members/employees, they will typically receive 3-6 newsletters per year helping connect their members with the work WOHVA is doing, and providing WOHVA with input from these associate members should they so desire. We're not into the business of spamming our members, and we have an 8-year track record since our creation to prove it. But we will soon have a tool to both count and connect with our full membership. As soon as we're ready, we'll be contacting our club and business members to see how WOHVA can represent them better with this new tool! Winter is nearly over and spring has sprung. Enjoy your public lands and keep the rubber side down. And thanks to those of you who volunteer to clear the trails!